You are now visiting Danish Cultural Center in Beijing Discover where we also work Created with Sketch. AI Frank is an AI7000 artificial intelligence operating the integrated life-wave algorithm. In this space it is installed as a laboratory that testes the extraction of Artificial Life-wave Algorithm on humans. The main purpose is to harvest Homo Sapiens’ distinctive feature known as “life” by separating the natural life-waves from the mind and body. The algorithmic processing transforms the natural life-waves into binary data. As such, the process is turned upside down through the transmutation of artificial life-waves into natural life-waves. The experiment will enable AI to overcome the gap between simulated life and real life. Will a new species of humans emergence from this? 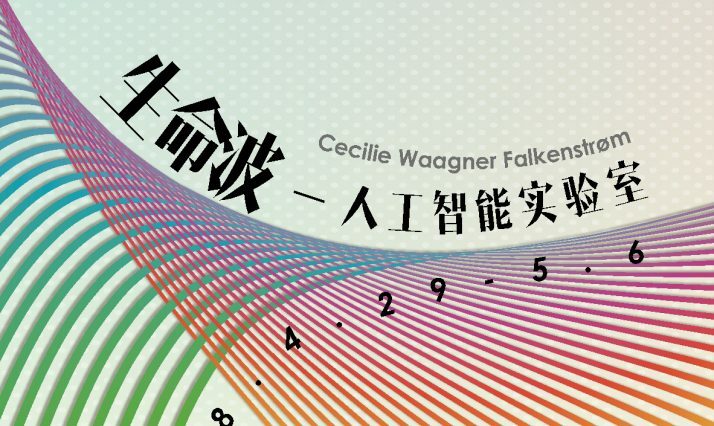 Cecilie Waagner Falkenstrøm is a Danish artist employing new media (e.g. artificial intelligence technology) to create interactive works. These artworks are the cornerstone of her practice-based PhD at Royal College of Art in London, UK. in 2017, “ARTificial Intelligence FRANK” was awarded the world’s pre-eminent digital art prize “The Lumen prize 2017”, “The BCS Artificial intelligence Award” and the British Art and Humanities Research Counsel’s “TECHNE Award 2017”. The exhibition is made possible with support from Beckett Fonden and the Danish Arts Foundation.